The Role Model Essay. Yep, I can hear the groans now. Remember that wonderful paper that you had to write in high school, which perhaps even swayed the college acceptance letter towards a yes or a no? Well, that’s the subject I’m going to be pontificating about today. I can smugly sit here and say that I never had to write such an essay. However, that does not mean that I never thought about it. Please, with all of the American teen drama shows/films/series, there is no escaping that one second of seeing the angst of ‘Who do I write about’ and wondering about it for yourself! (Possible references here may include Spanglish – you know, Adam Sandler, Paz Vega; Gilmore Girls with the incomparable Alexis Bledel; Dawson’s Creek – Katie Holmes, Michelle Williams, Joshua Jackson, James Van Der Beek; and there were a fair few essays in Boy Meets World!). The obvious ones spring to mind: Mother Theresa, Bill Gates, Sports figures, Humanitarian Actors and Actresses, etc. Great. All fine. But admittedly, for this kind of essay – as subjects, they are a bit overdone. So, in order to diversify somewhat, allow me to propose a lesser-known candidate. Ok, so, high school may be over, but I think that it is definitely worthwhile to pay attention to the hidden humanitarians and those contributors to the arts who have not been lauded as such. James T. Dyke is one such person. Dyke Collection and National Gallery of Art, Washington, D.C.
Those who are heavily involved within the art world will, I’m sure, be aware of who this man is. For those of you who aren’t, allow me to explain. 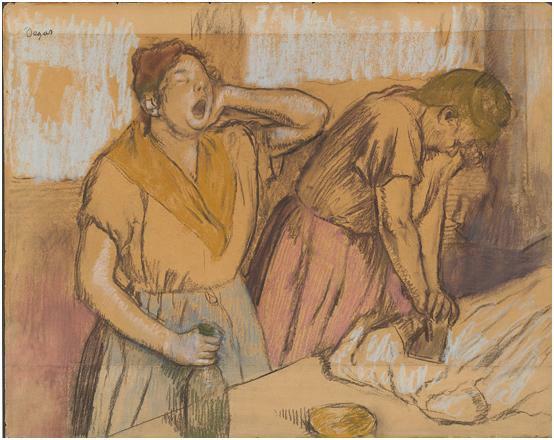 James T. Dyke is one of the foremost American collectors of 19th– and 20th-century French drawings and prints. He has been an avid collector for over thirty years, resulting in a spectacular collection of art. However, this is not why I believe that he should be put into the spotlight. No, it is for his generosity and commitment to culture that he deserves some recognition. It is his collection of French drawings which is in the National Gallery of Art, and it was he who made this exhibition possible. As Chairman of the Trustees’ Council, he not only made his collection available to the public, but he also permanently donated several of the pieces to the Gallery. What’s more, this exhibition is open free of charge to the public. His philanthropy is not purely arts-based however, as numerous donations in his name can be traced to medical sciences and the National Guard, amongst others. So, there it is – culture, generosity, and commitment to the arts. Could you ask for anything more? Pastel and charcoal on three joined sheets of brown paper. 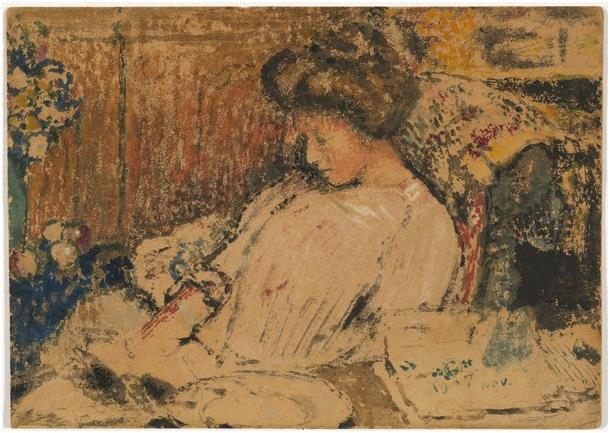 To take full advantage of the collection which has been made accessible to the public at Washington’s National Gallery of Art, head over to the Color, Line, Light: French Drawings, Watercolors, and Pastels from Delacroix to Signac exhibition. It will be running until the 26th May 2013, so you can still make it! However, a peek at Victoria Charles’ French Painting could prove to be somewhat easier if you don’t happen to live in the D.C. area.